Expert Review of The One Hour Purim Primer by Shimon Apisdorf, one of our picks of the top Jewish books for kids! 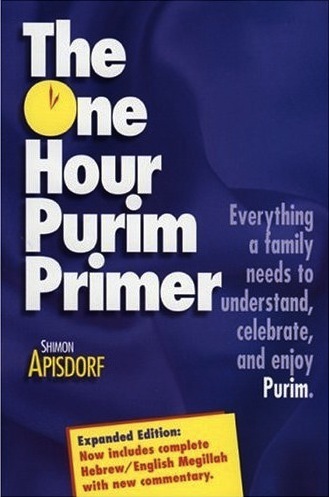 "Everything a Family Needs to Understand, Celebrate and Enjoy Purim"
Whether you have celebrated Purim fifty times or never at all, you'll find this book relevant and helpful. It contains a clear step-by-step guide to celebrating Purim, with great ideas for kids, an overview of the history behind the holiday, and lucid insights that reveal how the holiday speaks to our lives today. Apisdorf is a master of the short how-to format. Among all of his Jewish holiday themes, the Purim Primer ranks among his best.